Embed The Pathway Coach Educaton Kicks Off! Embed The Pathway Coach Education Kicks Off! The Embed The Pathway kicked off their coach education courses this Monday the 27th July. It began with a fantastic presentation from Salford Red Devils Coach Ian Watson. The presentation 'Developing Decision Makers' focused on the importance of the First and Last tackle. The presentation utilised split-screen video analysis, as used within professional sport training. It also offered fascinating insight into the strengths and weaknesses of Super League teams and how they can make improvements. 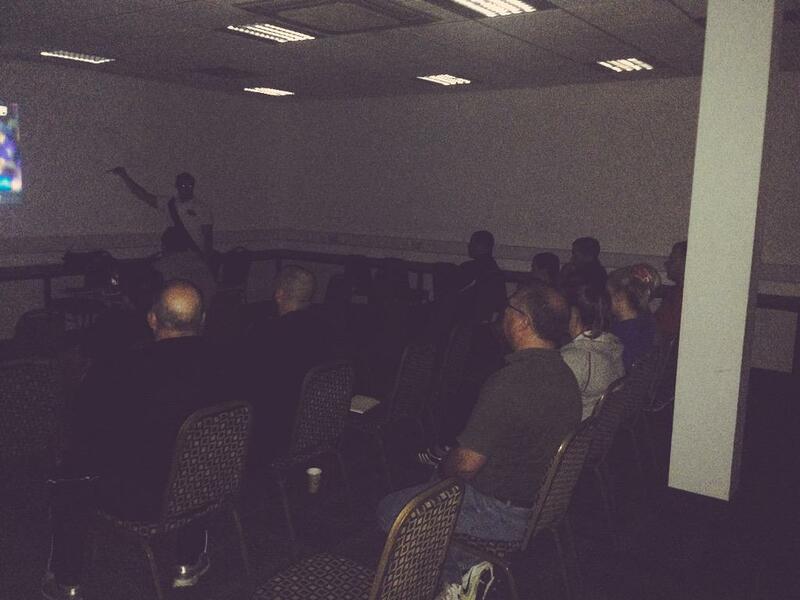 The session was delivered to over 15 amateur coaches and volunteers from the local community. The next Embed The Pathway session will take place on September 14th 6pm -8pm and is an invaluable opportunity to receive quality coaching accreditation. The session on September 14th will consist of two blocks, followed by the final block on September 28th. Alongside EPT accreditation, your club or school may also use the logo and are entitled to official kit. Danny Barton, Development Manager, said: "Embed the Pathway coaching sessions offer imperative lessons for amateurs and volunteers wanting to get into coaching. The first session has been fantastic and we are hoping to continue this success into the future." To get in touch, or for anymore information, contact danny.barton@thereddevils.net or telephone 0161 786 1591.